I am the Executive Director of The Clifton Institute, an environmental nonprofit organization in Warrenton, Virginia where I work on ecological restoration, environmental education, and research. I have a long-standing interest in the ecology and conservation of forests and grasslands in the eastern United States. I grew up in the oak-hickory forests of northern Alabama and studied changes in forest composition and ephemeral pond bird communities as an undergraduate at the University of the South in Sewanee, Tennessee. I am continuing my temperate zone research with a long-term study on the effects of climate change on bird distributions and Rhododendron phenology along a 4,800′ elevation gradient on Mt. Mitchell, North Carolina. I also have a background in research on the effects of the wildlife trade, climate change, and habitat loss on tropical birds, especially in Indonesia, Malaysia, and Ecuador. These days I spend my free time restoring a native grassland on my property in Fauquier County, Virginia and working to identify all plants, animals, and fungi that reside at the Clifton Institute: https://www.inaturalist.org/projects/clifton-institute-long-term-bioblitz. July 2012-July 2015: Postdoctoral research fellow, Princeton University (Supervisor: David Wilcove). Most bird species are found in the tropics, but most ecologists and conservation biologists work in the temperate zone. I seek to uncover information on poorly known tropical ecosystems, and combine this information with models to characterize extinction risk. I believe it should be a priority to collect fundamental natural history information as well as working on conservation questions. During my postdoc I worked with the Wilcove lab to find out how the wildlife trade affects Indonesian bird populations and test if information from wildlife markets could be used to identify declining species. We found that markets are useful indicators of wild population trends (see Biological Conservation paper in Publications). Stay tuned for a paper that tests for the effects of trapping on wild bird populations. For my Ph.D., I compared past and current bird distribution and abundance in Sabah (Borneo) to detect the effects of climate change. I also quantified bird abundance along elevational gradients in Sulawesi (Indonesia) and Sabah to predict possible impacts of climate-change-induced range shifts up mountains. During the Ph.D. I also built models that combined demographic information (survival and fecundity) with dynamic habitat maps to make predictions of climate change impacts more realistic. Funding for the Ph.D. was kindly provided by the Loke Wan Tho Memorial Foundation, National Geographic, and the South Australian Department of Environment and Natural Resources. This work would not have been possible without the assistance of my international collaborators Drs. Dewi Prawiradilaga and Henry Bernard. From 2007-2008 I worked with the Jocotoco Foundation on the conservation of endangered birds in Ecuador. While with the foundation I studied the Esmeraldas Woodstar which led to the realization that the female of the species was undescribed. 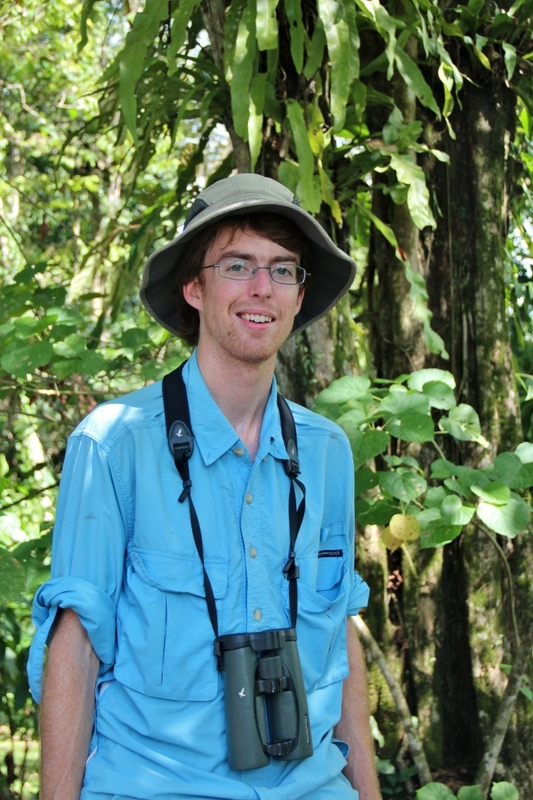 I also worked with foundation scientists and assistants to study the home range and behavior of the Jocotoco Antpitta. Before Jocotoco I worked on a variety of ecological research projects including a study of birds associated with ephemeral wetlands and a comparison of forest change in adjacent but distinct communities. I was also involved with two studies on restoration ecology in Costa Rica and this interest continues today with recent collaboration on restoration genetics in Australia with Martin Breed and Jolene Goulton. For more information check out my publications or connect with me on Research Gate , LinkedIn , Facebook or Google Scholar. Thank you for your coverage of our work!